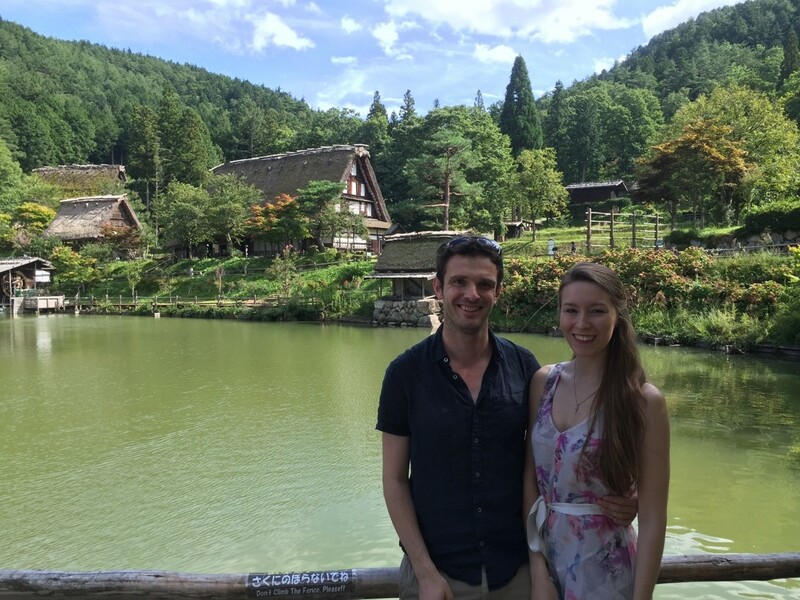 Materials Horizons Community Board member Dr Thomas Bennett tells us about a research trip he recently took to Kyoto, Japan which was funded by a Japan Society for the Promotion of Science short term fellowship. Tom started a Royal Society University Research Fellowship at the University of Cambridge in 2016, along with a visiting adjunct professor position at The Wuhan University of Technology. He also holds a visiting scientist position at CSIRO Melbourne. In 2017/2018, Tom is also Director of Studies for Materials Science, at Trinity Hall, Cambridge University. He has been fortunate enough to receive the EPSRC post-doctoral prize (2012) and the Panalytical award for an outstanding contribution to X-ray diffraction (2013). His latest research on the discovery of the first liquid metal-organic-framework was featured in Chemistry World earlier this month. 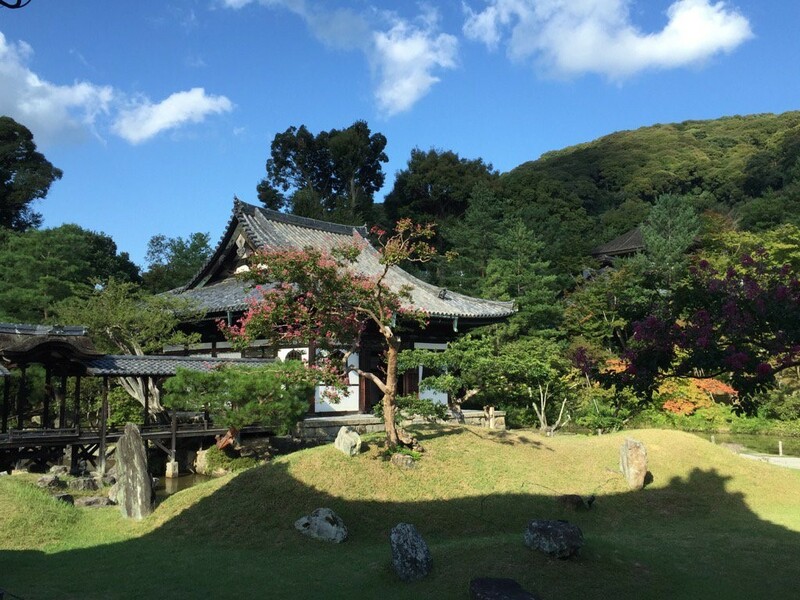 You recently spent a month in Kyoto, Japan visiting the group of Professor Satoshi Horike and Professor Susumu Kitagawa on a Japan Society for the Promotion of Science (JSPS) short term post-doctoral fellowship. What motivated you to consider making this journey? The research of my group is focused on metal-organic frameworks (MOFs), which are sponge-like compounds formed by networks of inorganic ‘bricks’ linked organic ligands. However, we place an emphasis on the amorphous, or non-crystalline state, and specifically MOF-liquids and melt quenched glasses. The latter is the first new family of glass-formers discovered since the 1970s, and has been gathering much attention. The group based in the Institute for Integrated Cell-Material Sciences (ICeMS) is world renowned for excellence in the field of coordination polymers, and are also interested in the glassy and liquid states of hybrid polymeric systems. I’ve met both Satoshi and Susumu on multiple occasions at conferences, and we share the same desire to broaden the field and investigate the non-crystalline domain. We made a conscious decision to take the time to set up a lasting collaborative relationship between our two groups, given our common research interests. This was made easier by the fact we get along extremely well and we can be open about our research with one another! How did you go about applying for the JSPS fellowship? Do you have any tips for others who might be thinking of applying as well? The application form is short and easy to fill out – and the JSPS office in London is extremely helpful. There are several deadlines per year, and your Japanese proposed host institution will guide you through the process if unsure. I’d strongly encourage anyone interested in a stay with a Japanese Institution to get in touch with a local contact and discuss the possibilities. What was the focus of the research that you carried out in Japan? We focused on the links between coordination polymers and MOFs in the non-crystalline domain, and carried out some experiments aimed at understanding the chemical opportunities and variability in the area. We also have set up our two groups to work together experimentally, and samples should start to be exchanged soon! Do you have any exciting results or collaborations planned in the future as a result? Are there any publications we should keep an eye out for? We do! Aside from some promising early experimental results which are being followed up upon now, we hope to be able to provide our thoughts on how the non-crystalline coordination polymer and metal-organic field will develop in the long run. We’ve had some excellent advice on how to do this along the way, which will hopefully make it an enjoyable read when it comes together! What impact do you think this experience will have on you and your research in the future? The Royal Society University Research Fellowship that I am extremely fortunate to have, offers me freedom to explore the real edges and interfaces of science as it evolves, and there is no doubt that the exchange will benefit both our research groups – be it through student exchanges or sharing our different experimental capabilities. I’m currently looking for new students and members, full details of which can be found on the group website: https://tdbennettgroup.wordpress.com/. Personally, the experience was invaluable. 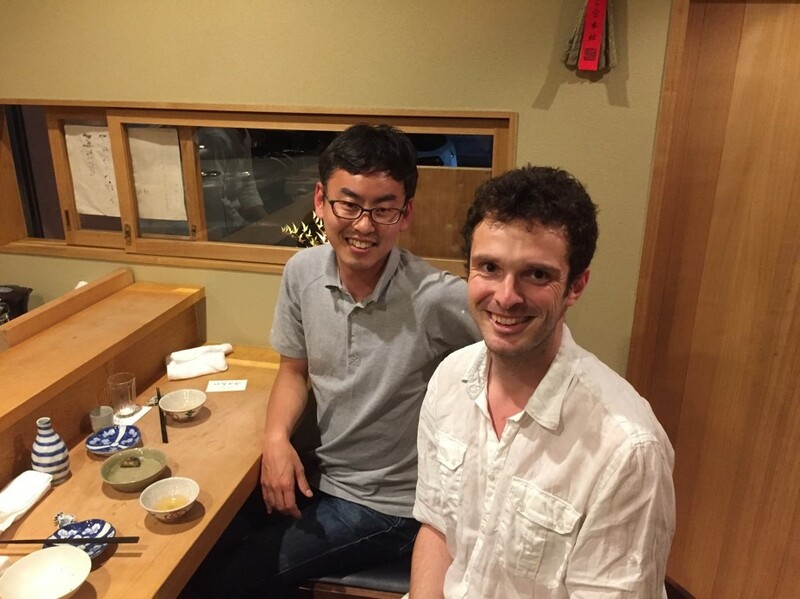 I am busy building up my group as a Royal Society University Research Fellow, and it’s really valuable to be able to learn from Satoshi, who is further on in his career. Long term planning, strategy and research environment is particularly important. What were the best and most challenging aspects of your month away? Well, the research first and foremost! Aside from that, Kyoto is simply a stunning city, and a bike is absolutely the best way to get around it. Waking up with sunrise at 6am and cycling around beautiful gardens, temples and cobbled lanes gives you a real taste of peace and quiet before the day really gets going! One of my hobbies is travelling – seeing beautiful sights, learning about different cultures, meeting new people and (especially) eating wonderful cuisines. In all cases, Kyoto was perfect. As always when you are away from home, the occasional loneliness could have been an issue – you always want to share the best experiences with somebody. This was never an issue in Kyoto. Alongside my hosts, I’m particularly grateful to Prof. Shuhei Furukawa, Dr. Sanjog Nagarkar, Dr. Jet Lee, Dr. Gavin Craig and Ms. Azuma for making me feel so welcome! My partner, Helena, also joined me for a week in the middle of the stay, and we took the opportunity to visit the mountainous Hida region. Are you attending any conferences or events next year where our readers might meet you? I will be at EuroMOF 2017 in Delft in late October, and then giving an inorganic seminar in Berkeley with Prof. Omar Yaghi in January 2017. Beyond that, I’m part of the organising team for the Annual UK MOF Symposium, which will be held at the University of Southampton on the 9th and 10th April 2018. I will be back in Japan for the ICCC 2018 in Sendai, early August, and then in New Zealand for the biannual MOF conference in December 2018. I’ve recently gotten into Twitter, so follow me @thomasdbennett for a rough idea of my whereabouts! And finally, what is the one piece of career-related advice that you wish you’d received as an early-career scientist? I’ve had the immense privilege of working with many great scientists (too many to name them all!) who have supported me no end, including Prof. Tony Cheetham, Prof. David Keen, Prof. Andrew Goodwin, Dr Nick Bampos and Prof. Dirk De Vos. Dr. Ross Forgan, University of Glasgow, is a Royal Society Research Fellow about 5 years on from me and he has been great as well. A new idea and a novel area always help, although it’s easy for me to say now! I think that as long as you look after your students, appreciate the value of your collaborators, stay grounded and keep a smile on your face, then you will be able to remain grateful for what is a fantastic career.